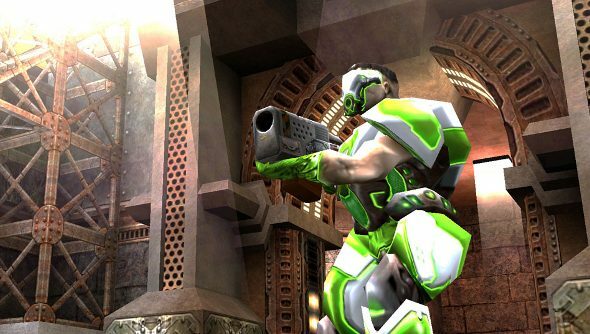 When free, browser-based Quake Live was announced for Steam back at QuakeCon, bringing with it changes and new features, details on what these changes would actually be were sparse. But now the curtain has been lifted, and a hefty update has been applied to the game to get it ready for what the team no doubt hopes will be an influx of new players when it launches on Steam. Most of the changes are built around the team’s goal to broaden its appeal, making it more welcoming to newcomers. This includes things like letting players select their loadout – their primary and secondary weapons – and scrapping gun-specific ammo packs for global ones. Change is hard, and if the comments on the update post are to be believed – they’re not – this has killed Quake Live. It’s worth noting that the pre-update game has been preserved in a Classic mode. “Serious question: Do any of the devs actually play the game? I don’t think so,” someone who is upset asks and then, conveniently, answers. Players may now hold jump to continuously jump. Players may now hold forward and jump to ‘bunny hop’, allowing them to slowly gain up to 2x their base movement speed. Introduced Loadouts in select modes; allowing players to select one Primary Weapon (hmg, rl, lg, rg) and one Secondary Weapon (sg, gl, pg, mg). Added the command “weapon toggle” to toggle between your Primary and Secondary weapons. Defaults to “f” for new users. Unified weapon respawn time to 5 seconds across all game modes. Unified friendly fire, disabled across all game modes. Added global Ammo Packs, in lieu of weapon specific ammo, where each pack grants you a small amount of ammo for each weapon in your inventory. Reduced ammo respawn time from 40 seconds to 10 seconds. Added in-world item timers for “major” items, including armors, megahealth, power-ups, and medkit. Items have taller pickup collision boxes, so that players will not miss items as they jump over them. Added Power-up Spawn POIs, that appear 10 seconds before a power-up spawns. Added Power-up POIs, that indicate when an available power-up is available in the arena. There are also global changes, like the addition of a new weapon, the heavy machinegun; widescreen support, for HUDs; customisable damage number indicators; and a slew of tweaks and bug fixes.